It has been an impetuously sweet ride for Toy Horses, to say the least; since demos of the Welsh step-father/son duo of Tom Williams and Adam D. Franklin caught the music industry’s attention early last year, the band’s slow canter hardly had room to develop before it was galloping full-speed ahead. Now with a 10-song debut (produced by Wilco’s Ken Coomer) released earlier this year, and a plethora of opportunities on the horizon, it seems as though the band will be on the fast track for some time. Yet the two have managed to stay grounded in light of all the praise, insisting that it still surprises and amazes them when they think of all the good things that have come about in the past year. The songwriting facet itself is something that begins as a solitary process, and only toward the middle or end of it do the two join forces, filling in the gaps for one another and completing partially-developed ideas. The band is currently on a week-long tour of Germany, a country which it is no stranger to, particularly in light of being signed with Munich-based Kanoon Records. That enthusiasm for Toy Horses and the music the band makes is incredibly important to both members, who said they are fortunate enough to have experienced an overwhelmingly positive response from people who like their music as is. However, taking the songs on the road did spurn some change, particularly in the live setup. 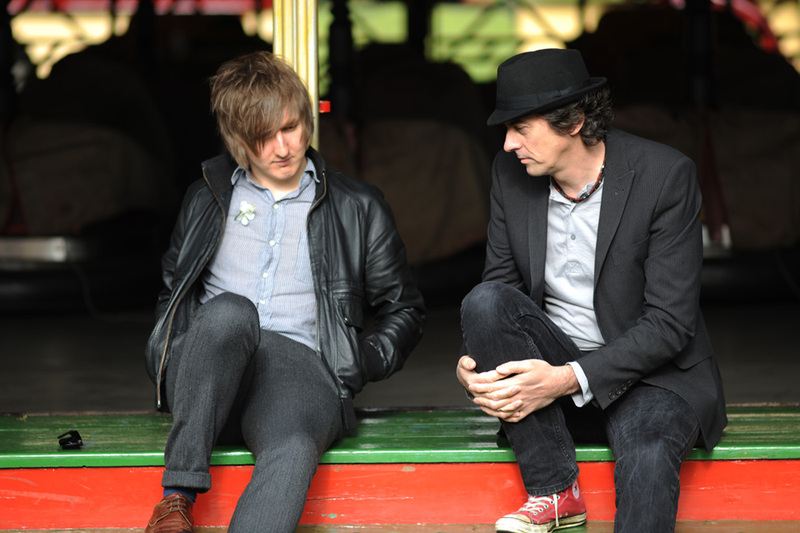 Whereas before, just Williams and Franklin would play together, now they have a backing band, which consists of Tom Rees (drums), Jon Proud (bass) and Carl Prior (guitar and keyboards). “I think we’re getting, well, I think we’re getting pretty alright now,” Franklin said, referring to the large, full sound the band now has at its live gigs. He said that prior to bringing in additional musicians, one of the bigger struggles was making the songs on the album work with just two individuals on stage. Of course, doing things differently is nothing out of the ordinary, particularly coming from someone who is no stranger to trying out new things. And although touring and writing more songs are always endeavors for the band, now Toy Horses has switched priorities slightly, adding a new ingredient to the mix. Its current focus is writing songs for R&B artists, an opportunity that came about because of radio play the band received in Los Angeles which caught the attention of music producers located there. The result of these efforts will eventually be heard on albums by Jason Derulo, Drake and Sean Kingston, something which is both exciting and slightly laughable for the band. And in spite of this somewhat tongue-in-cheek approach R&B songwriting requires of Toy Horses, Franklin truly does love the songwriting aspect of it. At the same time, however, he also said songwriting can be just as maddening as it is rewarding, for him and Williams both. This entry was posted in Interview and tagged Feature, Interview, Toy Horses, Welsh. Bookmark the permalink.